Register now and be part of the kick-off event into the trail running season 2019! Are you ready for the IATF19? Due to the bad weather conditions and the abundant snowfalls, there’s a high danger of avalanches on planned route sections. For this reason we are forced to make changes to the route! The most affected is the K85 which had to be redirected to the K65. *All Prices exclusive handling fee. 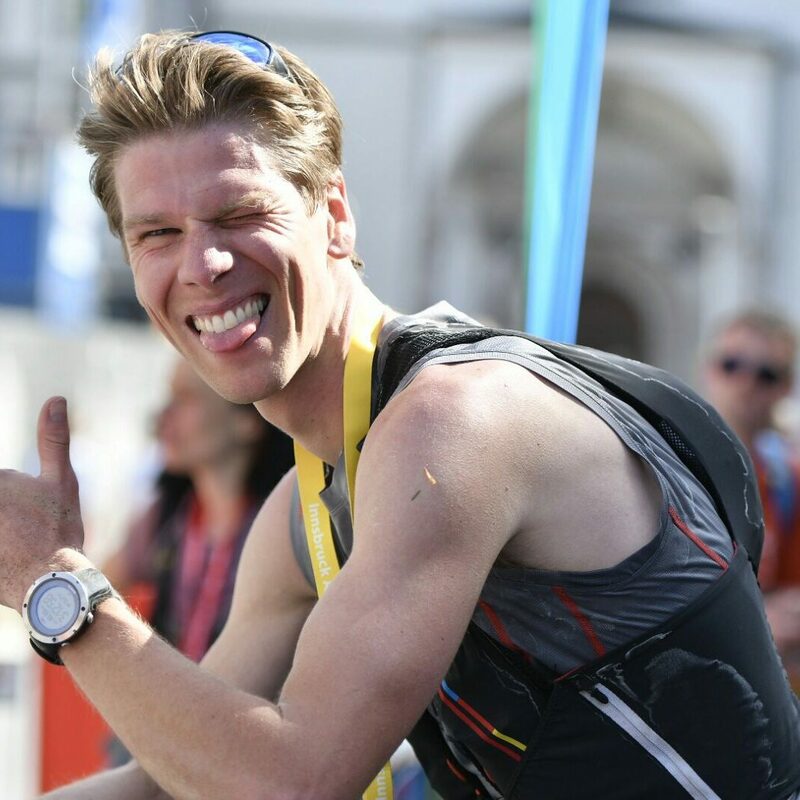 You want to attend the Innsbruck Alpine Trailrun Festival but you’re not sure which distance you want to run yet? In this case, our flex option is perfect for you! It means that you are registered for the race already but you can decide up until the 25.04.2019, which distance you would like to run. For only € 10,-, you can cancel your starting place until 25.04.2019 and you will receive a starting place in the IATF20. A refund of the entry fee is not possible. In addition, you can change your distance* ONCE before 25.04.2019. Whether you’ve had an unlucky injury or are invited to a wedding, the Flex-Option gives you flexibility and allows you to postpone your participation by a year without a reason. If your training doesn’t go by plan, you also have the option to switch to a shorter distance* for one time only! With the Flex-Option, you’re always on the safe side! * it is not possible to swith to a longer distance, only to a shorter one. - Bag transfer for the K42/K25 runs (from/to Natters) and the K15 (to Hall). Are you looking forward to the IATF19 T-Shirt? This year it will be a real eye-catcher, in our opinion, and until 1st of April you have time to order the original #iatf19 t-shirt for just € 29.90. Soon we will reveal the secret and present our t-shirt to the Innsbruck Alpine Trailrun Festival 2019! 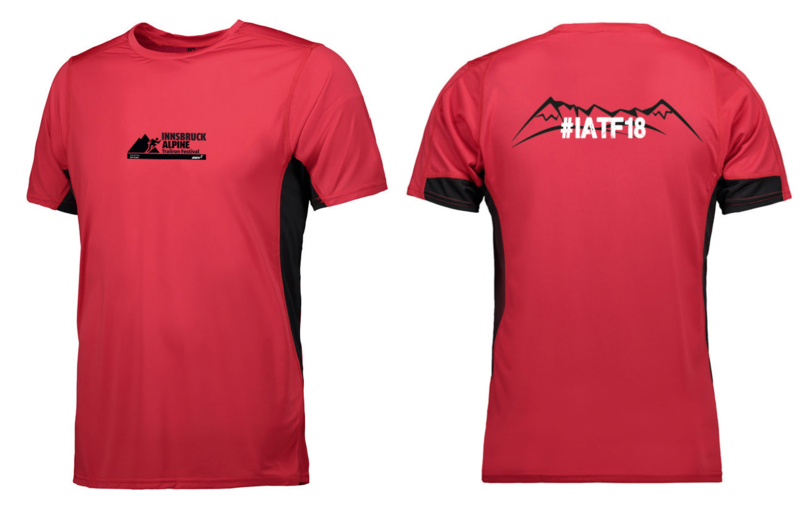 You can order your IATF19 T-Shirt during the online registration or via email to office@laufwerkstatt.at. Again, finishers of the IATF19 will receive a very special gift – a finisher token which can be personally engraved. Our engraving tool is available to finishers of all distances, allowing you to create a unique souvenir to remind you of your achievement! Furthermore, all finishers of the #IATF19 will receive a finisher medal. We recommend carrying shoe spikes, since there may be snowfields along the route. The organizers reserve the right to add shoe spikes to the mandatory list of items, if weather conditions demand it. Important information: In case of upcoming snowfall – shoe spikes may be added to the K85 compulsory equipment! The run will be conducted in an environmentally respectful manner. Rubbish must be disposed of in the rubbish bags provided at the refreshment stations, without exception. Violators will be disqualified! You can order the shoe spikes during the online registration or via email to office@laufwerkstatt.at. At the Innsbruck Alpine Trailrun Festival, you have the opportunity to protect yourself from unexpected costs with a 24h mountain safety insurance. Accidents on the trail can have expensive consequences and must not be underestimated! Salvage from difficult terrain can bring high financial strain and helicopter or ambulance rescue can be very costly. What many people fail to realize is that rescue operations are frequently paid by the patient themselves. The 24h mountain safety insurance by our partners at the Nürnberger Versicherung offer comprehensive cover for only € 5,00 to protect you from unexpected costs! For more information about mountain safety insurance, click here. 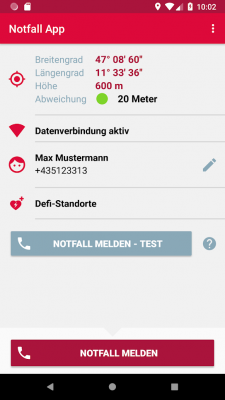 We strongly recommend that all runners download the emergency app provided Tyrolean Mountain Rescue to enable them to quickly and easily find injured participants. You can find the link to the app here. You can conveniently travel to our event area by train. The main station in Innsbruck is only a 10 minute walk from the city centre – the site of the Innsbruck Alpine Trailrun Festival. Click here to view the train timetable. Innsbruck airport is conveniently located for travel to the Innsbruck Alpine Trailrun Festival. There are several bus connections to the city centre of Innsbruck, offering easy transit for participants from all over Europe. The Innsbruck city bus lines will take you to the event area. It is only a few minutes walk from the the bus terminal at the market place to the event area in the city centre. The timetable for all connections and departure times is available here. From the North (toll free route): from the border crossing in Mittenwald/Scharnitz toward the federal highway B177, take the exit to Zirl and follow toward Innsbruck. From the East (via Kufstein): follow the A12 in the direction of Innsbruck Arlberg/Bregenz toward Innsbruck and take the exit to Innsbruck Mitte. From there, drive over the Olympia bridge and keep right, driving toward the main station, Hauptbahnhof. Here you will find several parking opportunities and it is only a short walk toward the event arena in the city centre. From Italy, cross the toll booth at Schönberg and the Europabrücke bridge before leaving the Innsbruck-Bergisel junction toward Arlberg/Bregenz. From here, take the exit to Innsbruck West across the Innrain toward the city centre, where you will find various opportunities for parking with a short walk to the city centre. From Vorarlberg, take the A12 autobahn to Bregenz in direction of Innsbruck. Follow the exit Innsbruck West across the Innrain to reach the city centre. The city centre of Innsbruck offers several parking spaces and car parks in close reach of the event area. This is an excerpt from our Terms & Conditions for participation. The full T&C’s can be viewed during the registration process. The Terms & Conditions apply to all participants of the Innsbruck Alpine Trailrun Festival. Eligibility for participation is granted to those who have correctly registered their starting place with the event organizers. Participation in the event using other sporting equipment is not permitted. Accompanying other runners with bikes, inline skates and other means of transportation is forbidden for safety reasons. Your personal race bib may not be changed and the advertising print may not be hidden or destroyed. Your personal race bib must be worn visibly on the front of your upper body. Instructions by the event organizers and staff must be adhered to. The organizers reserve the right to disqualify or expel any individual from the race, whose actions inhibit an orderly execution of the event or compromise the safety and security of the participants. The organizers and staff reserve the right to deny entry or continuation of the event to any participant on the basis of health symptoms or risks that threaten the participant or other participants. The event and contests will generally take place in all weather conditions. However, the organizers reserve the right to interrupt or cancel the event (e.g. due to severe weather conditions) or shorten or alter the route (e.g. due to snow). The Innsbruck Alpine Trailrun occasionally takes place on public roads, therefore all runners are subject to traffic regulations. Every refreshment station offers the opportunity to prematurely exit the run. The runner management team reserves the right to disqualify participants who disregard the rules and regulations of the Innsbruck Alpine Trailrun despite prior warning. The K85, K65, K40 and K25 contests will receive a race briefing. The exact time and location will be announced in the “Race” section of the website. Fair conduct and sportsmanship toward other participants and race staff, as well as toward other persons along the route, such as hikers and spectators, is a necessity for participation. Every participant is obligated to provide First Aid to injured persons and to notify the runner management team. If a runner is lost or does not arrive at the refreshment point at their expected time, the runner management team must be notified. Each runner must carry the obligatory equipment on themselves, which will be checked when you pick up your race bib.